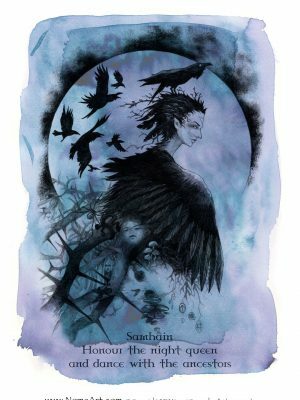 Samhain: Halloween – October 31st to 1st of November. 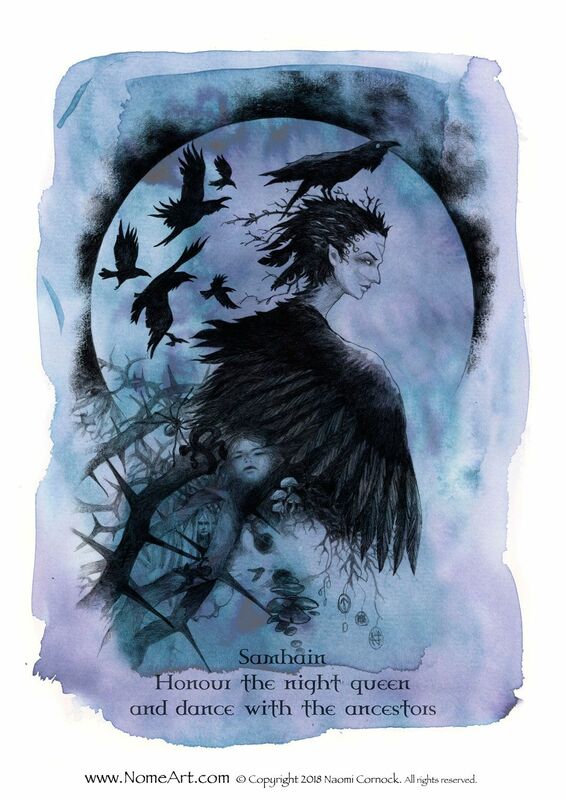 Samhain is one of our four Greater Sabbats, the highest holy day of pagans when the veil between the living and the dead is thinnest, and the witches new year. Samhain is traditionally, to Gaelic cultures, a time to honour the ancestors, to remember loved ones who have passed on. Some of the traditions include a place set for the ancestors at Samhain feast, photos or memorabilia of loved ones at the altar, a candle lit outside the house to help the spirits of the ancestors find their way home. It is a cross quarter day, situated between Autumn Equinox and Winter Solstice and truly ushers in the dark half of the year. Now the sun god is truly gone, slumbering in the earth awaiting Yule to be reborn again, until that time the goddess takes on the mantle of the Crone to watch over us through the dark cold nights. This is a time to celebrate the dark, as it is through the dark which light is born, from the blackness of the earth do seeds grow into the light, and so we must have both to have life.